Jan Hahn is fascinated by Jane Austen, 19th Century England, and true love. Having spent years in the world of business, she is now content to leave it behind and concentrate on writing about Austen’s characters finding true love in 19th Century England. A storyteller since childhood, she’s written skits and plays for local organizations and owned a business recording, writing and publishing oral histories. Jan is a member of JASNA and began writing novels based on Jane Austen’s Pride and Prejudice in 2002. 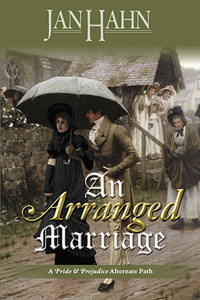 Jan’s first novel, An Arranged Marriage, won the award for Best Indie book of 2011 from Austen Prose. 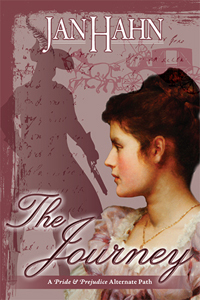 The Journey, published in 2012, was selected by Austen Prose as one of the Top Five Austen Inspired Historical Novels of 2012, and it won the Favorite Pride and Prejudice Variation/Alternate Path of 2012 award from Austenesque. Jan has five children, seven grandchildren, and is a native Texan. In her dream world, she lives in England in a place called Pemberley. 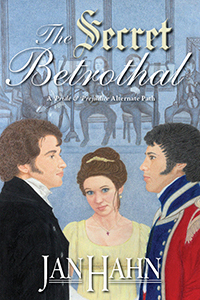 Continue to read the excerpt at MY JANE AUSTEN BOOK CLUB: BLOG TOUR: SPOTLIGHT ON … JAN HAHN, THE SECRET BETROTHAL + DOUBLE BOOK GIVEAWAY.